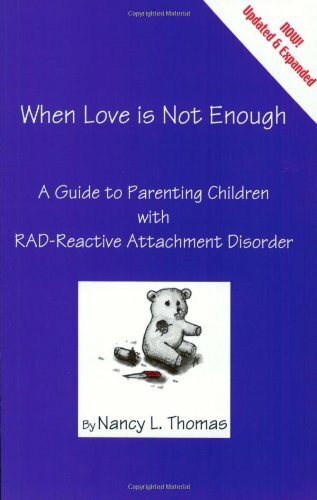 If you are parenting a child with RAD (Reactive Attachment Disorder), you know that typical parenting strategies are rarely effective. 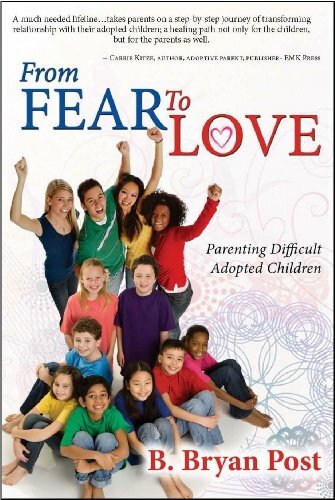 Instead, the challenge is for you to incorporate therapeutic parenting into your daily life. Therapeutic parenting is challenging at its best, and while it’s no quick fix, it does promote healing for children. Keep reading for 5 helpful strategies for parenting a child with RAD. 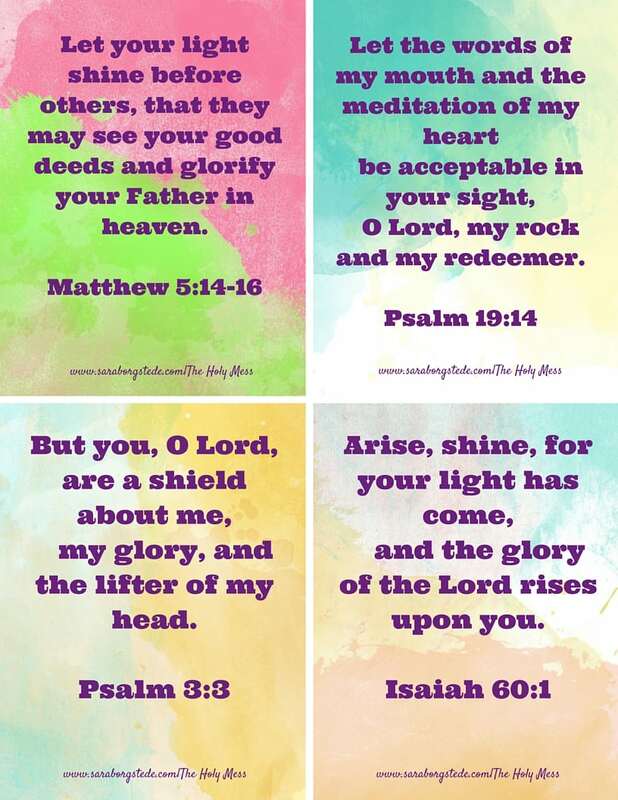 Today, I’m excited to introduce Lynne who blogs at Staying All the Days. 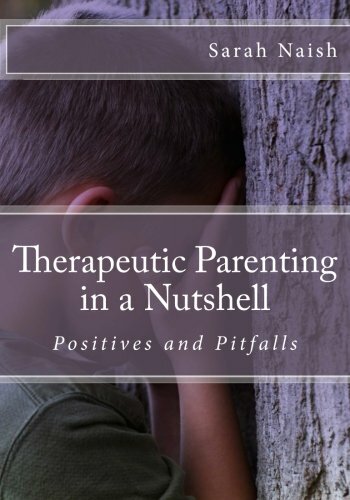 Lynne and her family have been incorporating therapeutic parenting strategies into their family’s life for several years now, and she has incredibly insight and perspective to share. Every day with kids with RAD (Reactive Attachment Disorder) can throw brand new challenges at you. 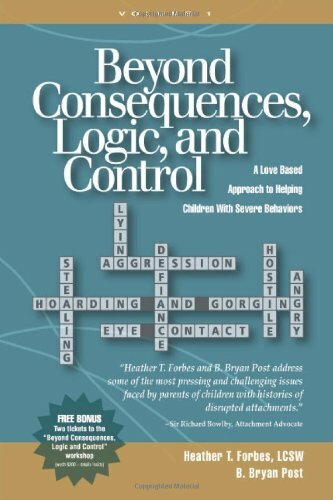 Kids with attachment disorder seem to thrive on controlling everything and everyone around them. This desire makes parenting them especially difficult. We have found a few ideas that are not magic, but they are quick and make being consistent easy. 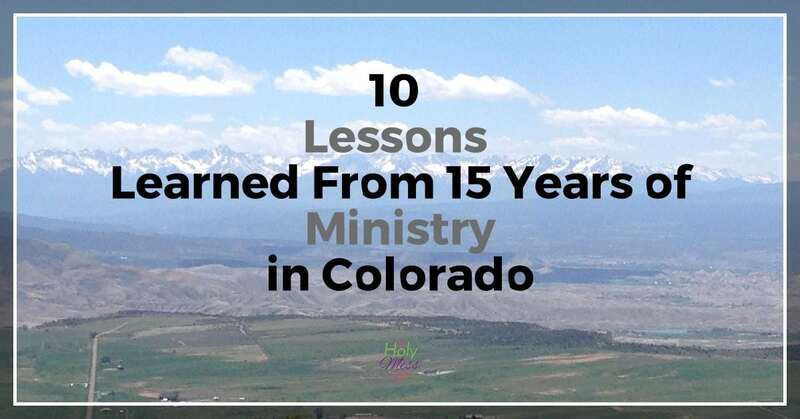 We were our daughter’s 17th placement. Her RAD behaviors disrupted every placement the state found for her. In fact, about 3 weeks before she came to us, her psychiatrist wrote in her file that she was unable “to live her life outside of an institution” and the doctor was recommending they find her such an institution to let her live out her days. Kate was 6 years old at the time. Kate has come along way. She is no longer on medication and she has not been hospitalized for behavior since she came to us. While there is not any one technique we use with her that is perfect, I have listed some with which we have had moderate success. They work with many different situations which makes us use them more often, and we are quite familiar with them. This allows us the stay calm even when she is doing her best to get us worked up. 1.Touch your nose 1 time. Kate asks questions all day long for which she knows the answer. She does this because she likes the thrill of making me have to answer her. I tried ignoring her questions, but she would continue to ask as if she needed to repeat it because I hadn’t heard it. However, once I touch my nose she knows I have heard it and I am not going to answer. This works 90% of the time and we have seen a decrease in this behavior. When we see Kate start to lose control, we say this. Often times she will grunt and groan, but not lose control of herself into a full blown fit. After we say it, we turn and continue on with what we were doing. We are careful to let her know that WE are okay with what is happening, and we are not willing to be an audience to her fit if SHE chooses to not be okay. 3. Repeat your child’s words back to her/him. We have noticed that when we say back to Kate what she just said to us, she will realize how ridiculous it sounds. Again, this doesn’t always work. It is best used before she has escalated into a full fit. Ask the phrase as a question. For example: “So, Kate, what you are saying is that Jack needs to go to his room and miss the movie like you are, even though his behavior has not been a problem?”. She will usually say no, but on the especially sassy day when she answers yes, we would again put it back on her, “Okay, and the next time Jack needs a consequence we make will make sure and include you too.” This almost always gets her to see the error in her logic. Sometimes when Kate says she is going to do something, I simply respond with, “Okay,” and continue with what I am doing. She doesn’t know how to respond because she didn’t actually want to do it, she just wanted to argue about doing it. If I am not going to argue then she has lost her drive. 5. Use the element of surprise. We don’t usually tell Kate about our plans ahead of time. 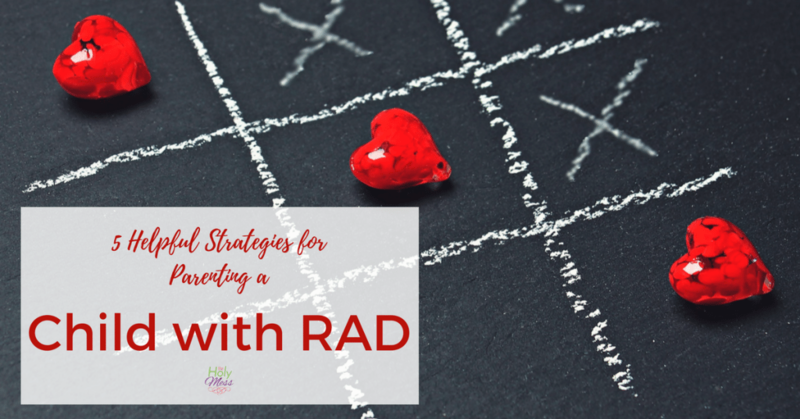 Most kids with RAD will take that information and start formulating a plan of sabotage. We learned early on with Kate that surprising her with plans works in everybody’s favor. If we have a fun outing planned and she has had a rough day, she misses out. That is her loss and hopefully a learning experience. If she has had a good day then she gets to be a part of the outing and will find herself having fun before she has a chance to ruin it for herself and everyone else. We have hard days. Most days are hard days. However, we have found that these small reactions from us can sometimes keep a full blown fit from happening. I encourage you to give them a try and tweak them to fit you and you child. 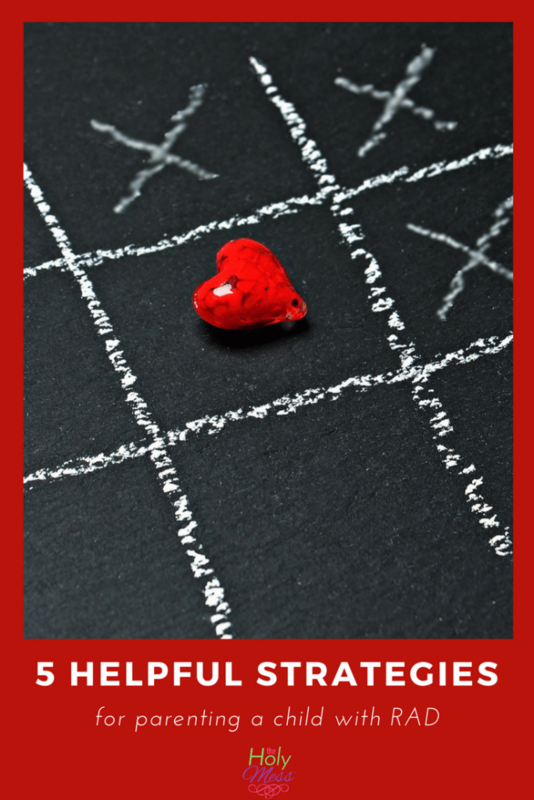 What strategies have you found helpful parenting a child with RAD (Reactive Attachment Disorder)? Lynne is a home school mom to her 3 kids, 1 biological and 2 adopted. Her daughter Kate has Reactive Attachment Disorder. You can follow Lynne on her blog Staying all the Days. She shares stories and tips to raising a child with RAD and hopes encourage others walking the same path. Thank you for this article. Can you give an example of how you handle the outings when rad kids try to sabotage. In this article you wrote that they miss out but how do you handle that when everyone is already out for the day/trip/outing? Basically what does missing out look like for your family? Hello Kate! I would be happy to answer your question. In our home it really depends on the outing and our other 2 kids. Let me explain, sometimes it is more important to our boys that BOTH parents be at something even if it means that Kate could be there and ruin it. Other times, they would prefer her stay home and sacrifice having 1 of parent present. That is how we handle it when the outing is something special or important for our boys. We are pretty strict with our kids, even our RAD. We hold her to high standards and we are willing to make a sacrifice and miss something if her behavior needs it. For example, I stayed home from Thanksgiving with family because Kate’s behavior was not up to par. My husband stayed home from trick or treating for the same reason. We divide when we need to. We also plan family outings and arrange for a grandparent to come babysit. This happens once a month and we don’t invite Kate. I know that sounds harsh, but our boys need to see that they are also a priority, even though Kate gets so much attention. They deserve a night on the town without fear of it ending at any moment with a RAD meltdown. Kate does not get to have fun at home during this either. Sometimes we will leave at 7pm and i will put her to bed before I even leave. Again, it is a consequence. My advice is be willing to stay home with your RAD, but never let them know you mind. When i stayed home from Thanksgiving i didn’t want her to think she had ruined it for me so i said “i am going kind of thankful i needed to stay here because i have an awful headache.”. When my husband stayed home on Halloween he said, “it is working out good for me to stay home because i have some work i need to catch up on.”. Never let them think they made the plans ruined for you. You need them to understand they ruined it for themselves.